Please note: Fistula Foundation is not currently funding active work in Guinea-Bissau. Why Did We Work in Guinea-Bissau? 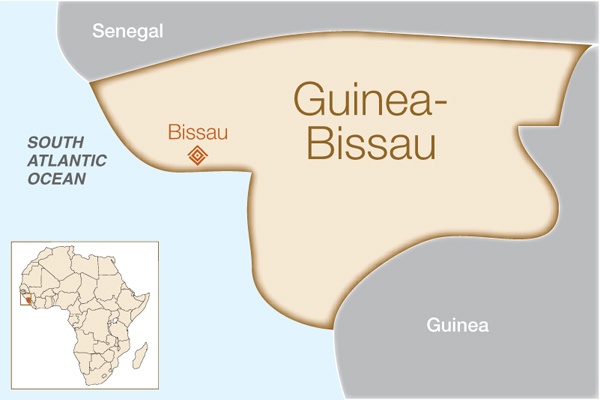 Guinea-Bissau is a small Portuguese-speaking country in West Africa that is home to nearly two million people. It has one of the highest maternal mortality rates in the world and too many births are still done without a skilled health provider. The country underwent a civil war in the late 1990s and continues to suffer from periodic political instability. As a result, healthcare has not been a significant priority and health expenditure per capita has decreased in recent years. These factors contribute to poor maternal healthcare indicators in Guinea-Bissau and reflect a large number of women living with obstetric fistula who have no access to repair surgery. We provided grant support to this center through Women and Health Alliance International (WAHA). How did this help women in Guinea-Bissau? Established by the National Health Ministry and United Nations Population Fund (UNFPA), the National Fistula Center in Bissau was the only hospital in Guinea-Bissau providing routine obstetric fistula care services when this project began. Prior to our funding through WAHA, the hospital was open but operating well below capacity due to lack of resources and training. During the grant period, 91 surgeries were performed and the entire fistula care team was trained based on the standardized curriculum developed by the International Federation of Gynecology and Obstetrics (FIGO). Referral links with local women’s groups were strengthened in order to provide more support to patients before and after surgery.